The German guitarist started his career in the revolutionary krautrock scene at the beginning of the seventies. In 1971, he first appeared in KRAFTWERK during their debut in embryonic electronic rock exploration. The same year until 1975 he integrated the band NEU! in duo with Klaus Dinger. 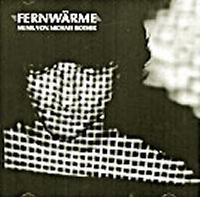 They released three seminal, innovative works together, participating to a new step in the development of German rock. Just before starting his career in solo he was employed by Roedelius (Cluster) to collaborate to HARMONIA's wonderful motoric/pre-ambient project. 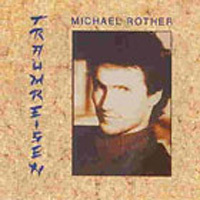 In 1980, Michael Rother obtained his own musical studio. The fifth solo album "Lust" will be produced by Rother himself. With continuous ideas he put the stress on new materials and technology. Less inspired he will have difficulties to renew his musical genre. In 1993, he found the Random Records label where will be reissued all his discography. 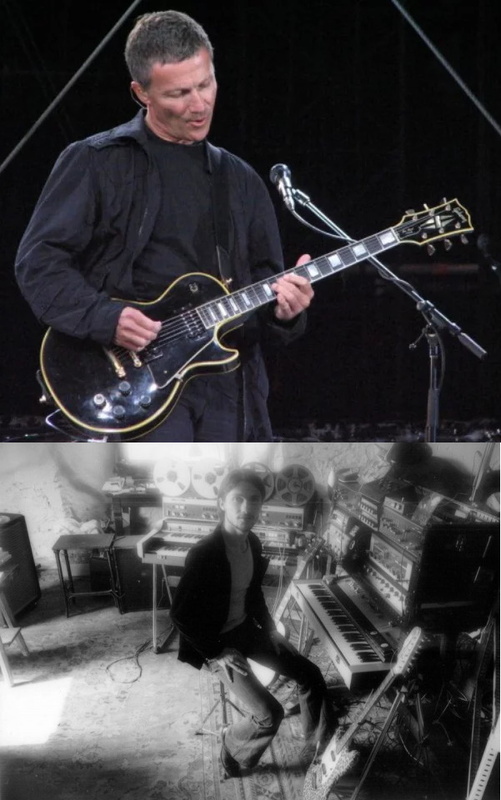 Recently he has collaborated with Dieter Moebius for many concerts in Europe, providing nice electronic/ ambient guitar compositions. 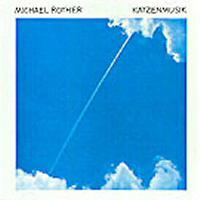 Sell your MICHAEL ROTHER items on eBay ! Lots of elegant guitar on this first solo release from the co-founder of Neu! In his former band, Rother was responsible for much of the melody while ur-punk Klaus Dinger added the gravel and punch. That division is reflected in this record, which is steeped in a European romanticism speaking more of rivers than autobahns. But though often pretty, it's not all languid. Jaki Liebezeit of Can provides the quintessential krautrock motorik beat while Rother does the rest. 'Karussell' could have been on Neu!75?superb. At a touch over 34 minutes, it feels too brief, yet remains a very satisfying instrumental record. (The CD re-issue of Flammende Herzen adds a couple of inessential remixes). 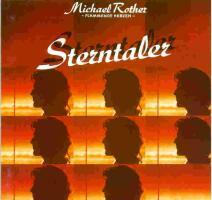 Michael Rother's sophomore effort is probably the least essential of his early, post-NEU! solo albums, but that's a relative distinction: his first three (career best) albums are remarkably consistent in style, performance and production. Consider it the middle chapter of a trilogy in progress, before the guitarist shifted in the 1980s to a less organic, keyboard-based sound. A newcomer might not hear a lot going on here. Simple, strummed guitar rhythms; uncomplicated melodies; minimal soloing...all accompanied by some of the most repetitive drumming this side of a metronome: a Jaki Liebezeit trademark. But on closer exposure the beautifully simple design and execution reveals enough depth to allow the listener plenty of room for a private epiphany. It's true the half-dozen instrumental tracks tend to blend together with sometimes unchanging uniformity. And yet individually each one is a minor miracle of understated grace: the gentle echoes of "Blauer Regen"; the monotone thrumming in the middle section of "Stromlinien"; the ecstatic chords rising to the climax of the title track. And best of all, that moment in the chorus of "Fontana di Luna" when the stereo separation dramatically opens: another clue to the subtle genius of producer / guru Conny Plank. Imagine the music of NEU! without the Krautrock aggression, uplifting instead of edgy. But stick with the original vinyl if you can: the CD bonus tracks, recorded more than a decade later, actually spoil the experience. Vapid New Age harmonies, a barren digital soundstage, and the absence of a flesh-and-blood drummer all underline the extent of Rother's stylistic atrophy between 1977 and 1993. But of course the grass was usually greener on the other side of the analog fence, wasn't it? 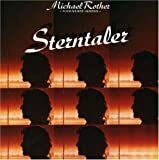 Michael Rother is a krautrock composer I know not for too long time. A friend of mine gave me this album a few months ago. After a first audition, it worked good on my ears. What can I say about this album? Katzenmusik , released in 1978, is an album of ambient music consisting in 12 songs. The main feature of this album is represented by a repetitive theme, so all songs could be easily regarded as a single one. Overall, there is nothing special, the music is simple and melodic. Recommended for an evening audition or driving, even for a bike trip. There's nothing particularly wrong with this album, it's just not all that exciting. You have some decent guitar work over some rather plain percussion. The music is in the Oldfield vane but not nearly as good in my opinion. Whereas Oldfield can really rock out and explore some good jamming, this is like Oldfield on barbituates, just kind of plodding along in a new agey middle ground. Not bad if you're looking for some pleasant background music but it may be far less challenging than some of you are hoping for. And maybe that's the intention. Certainly good but hardly essential. 3 stars. In his solo career Michael Rother exactly reproduced the most meditative and floating textures of Neu! music. His colleague Klaus Dinger launched L.A Düsseldorf for radical, abrasive pop electronic projections. 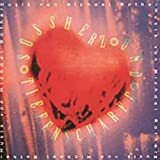 "Flammende Herzen" directly announces Rother typical guitar instrumentation with all these elegant repetitions and evocative, almost romantic ambient melodies. This album is a collection of various slow moving guitar inventions. The title track introduces a nostalgic and mellow theme for guitar. After 3 minutes the main melody is took back in a much more punchy instrumentation, featuring almost metronomic drum parts and distortion; a very pleasant and accessible song. "Zyklodrom" contains a rather similar introspect and light repetitive melody but includes some synth arrangements. "Karussel" is an other floating track, featuring a mechanical pulse some very light keyboard sounds with a pop, simple melodic line. The less consistent song of the album. "Feuerland" is a dense, dramatic, moody composition with slide fuzzy guitars, hypnotic pulses. The last piece is made of electronic gadgets, rolling drums and tranquil synthetic ambiences. 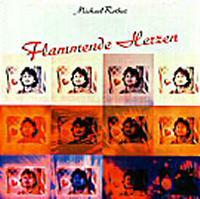 A colourful album and a good start to Michael Rother's intimate work. 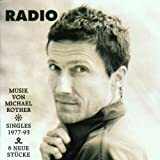 Michael Rother deserved a large part of his solo career to emotive, relaxing soundscapes that can be assimilated in some points to ambient music. Very prolific he always put to the fore an arsenal of melodic, plaintive, flowing guitar sections, sometimes using motorised acoustic drum patterns. Katzenmusik aesthetic and musical direction stay very closed to his guideline. The first track has some reminiscences to Eno/ Fripp collaboration with its long sustained electric guitar notes. Track 2 develops a typical Rother's theme with a nostalgic theme articulated around mechanical repetitive drum pulses, a pleasant (almost mainstream) little guitar melody, alternating clear sounds to distortion. Track 3 is an atmospheric interlude in abstract "ambient" texture. Track 4 is a naïve, simplistic guitar ballad, including a nice flavour. The next compositions take back the same structural model exposed in track 2. An other quiet, gorgeous and accessible effort. A pleasant background, environmental album for reading, driving. 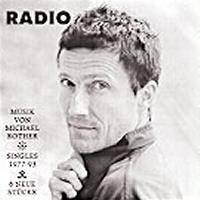 Lust was Michael Rother's fifth solo album after he left NEU!. While not his best work as a solo artist, this album is still a good release, especially for fans of electronic music. The style here is immensely different from his work in NEU!, as it is catchier, more new age at times, and overall, simpler and poppier if I dare use that word. While not exactly pop, this release is much more user friendly than any of the NEU! albums. Lust starts out with "Palmengarten," which was the single used to promote this release. It's one of the better tracks on the album, very lively and catchy, but still dark sometimes. "Primadonna" is a much more playful, repetitive track, but still very upbeat and enjoyable. "Dynamotron" to me sounds like a mix of the first two tracks, upbeat, not too dark, catchy, and a bit repetitve. The title track keeps the style of the previous ones, but incorporates an acoustic guitar, which is quite nice. "Cascadi" is another lively electronic ditty, but isn't quite as good as the previous pieces (by now, it's becoming a little bit to samey for me...). The last track on the original LP, "Pulsar," is a bit slower paced and overall different from all of the other one on the album; it's nowhere near as upbeat. Lust is a good album for fans of Rother's previous projects (Harmonia, NEU!, Kraftwerk), but it's not the best place to begin exploring his solo career. 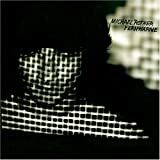 While a good album, this suffers from being a bit samey, and is nowhere near as consistently great as Katzenmusik, arguably, his best album as a solo artist. By the way, the Random Records release has three bonus tracks which are pretty good themselves, sounding a bit more modern than the tracks on the original studio album. In the end, this isn't for everyone, but for those interested it's a good album that deserves a solid three stars. Anyone acquainted with the career of Michael Rother will know what to expect from the former Krautrock trailblazer's third (and best?) solo album: more of the same sunny, uptempo guitar minimalism, with toe-tapping assistance from CAN drummer Jaki Liebezeit and another dynamic production job by the celebrated Conny Plank. And even if you're not on the Krautrock bandwagon you'll have to admit his credentials are impressive. He was briefly a member of KRAFTWERK, in their early, experimental days (between the first and second "traffic cone" albums)...was one half of the classic Krautrock duo NEU!...teamed up with the legendary electro- pioneers Mobius and Roedelius to form the group HARMONIA...recorded an ambient album in collaboration with ENO...and since 1976 has been a solo artist renowned for his melodic sensitivity and intimate guitar sound. 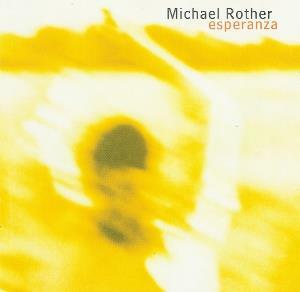 Rother's third solo effort doesn't stray very far from the template he patented on his first two albums, with lots of blissfully overdubbed guitars arranged in ear-pleasing patterns over a laid-back but unrelenting motorik beat (which a veteran Free Jazz noisemaker like Jaki Liebezeit could play in his sleep). And like some of the best German music it gets a lot of mileage out of precious little material. The first eight tracks here, simply titled "Katzenmusik 1" thru 8", rework the same basic theme in several different variations (including an evocative "backwards" version), separated by short, ambient interludes and one gentle, typically gorgeous ballad. "KM 9" through 12" (Side Two on my sadly scratched original vinyl) offer more variety, but in the often willfully repetitive soundworld of Krautrock that's a relative term, isn't it? "KM 11" is the highlight here, maybe because Liebezeit's disciplined drumming is a little more adventurous, or perhaps it's the fullness of the studio effects, subtly updating some of the guitarist's early NEU! experiments. Any of Rother's first three albums would make a good introduction, but this one has by far the best sound (later efforts would actually downplay his distinctive guitar playing in favor of more keyboard-based electronics). I suppose it goes without saying that if you've heard one Michael Rother album you've pretty much heard them all. But on the other hand, if you've heard one, why not hear them all? 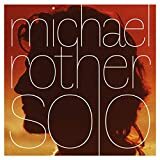 An other melodic ambient guitar work by Michael Rother in solo (NEU!). Very repetitive this album is in the vein of his previous efforts, always with its peaceful, emotional sense of musical expression. Nothing really new expected the material which is "colder" / and more electronic than before. The guitar melodies are more discreet than before and are progressively replaced by synth manipulations. A few tracks have real similarities to "Katzenmusik" minimalist / ambient style, but generally it is less captivating (too many naïve melodies), softer and less achieved in term of composition. The three bonus tracks (remix) released for the new version (Random records) are as usual very mediocre and un useful. This album is a good listen if you appreciate the original sound of Rother's three first. This is maybe the last memorable work he made in solo until the new musical orientation taken recently (not only in solo but also with great collaborations with others artists as Moebius). 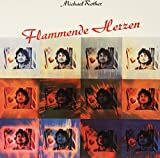 For those who are not familiar with Michael Rother solo work I only advise his first "Flammende Herzen" which sums up almost all his discography. 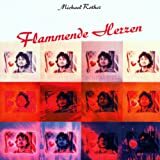 The first solo album by Michael Rother was a natural extension of his pioneering work in the Düsseldorf Krautrock combo of NEU!, but without the baleful influence of his proto-Punk erstwhile partner Klaus Dinger. What remained was simply some of the most beautiful guitar playing ever recorded, ranging from limpid acoustic picking to laser-beam electric sustains, all of it captured with remarkable, crystal-clear fidelity by the legendary producer and German music guru Conny Plank. This is the lighter side of the sometimes schizophrenic NEU! canvas, as foreshadowed on the first half of their "Neu! '75" LP but with all the rough edges of the motorik blueprint ironed out smoother than an autobahn macadam. In classic Krautrock fashion the music makes a virtue out of simplicity, building uncomplicated, repetitive melodies over the steady metronome beat of drummer Jaki Liebezeit (the ace percussionist of CAN, moonlighting alongside an obvious kindred spirit), with discreet electronic enhancements adding an attractive, atmospheric sheen. It's a sure-fire musical formula Rother would continue to fine tune, but never radically tinker with, over the course of his ongoing career. 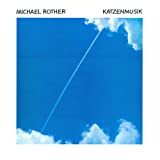 In an age when fleet-fingered guitar virtuosos were burning up their fret boards at 190 mph, Rother's style was a model of grace and economy, and like a lot of music from Germany in the 1970s it hasn't aged a minute in almost 30 years.